It’s never easy contemplating the expansion of a business overseas, launching it into unknown territory amid all kinds of personal doubts and fears. Better the devil you know has scuppered many a venture before it’s even begun but, as is often the case, pessimistic thoughts can turn out to be scarier than the actual reality. What if there was an environment which positively encouraged such ideas of expansion, without many of the ifs, buts, fears and negativity usually associated with such plans? What would you do then? You’d jump at the opportunity, right? There is such a business environment and it’s called the United Arab Emirates! More precisely, we’re talking free zones, created within the United Arab Emirates (UAE) for people exactly like you. You could be joining the thousands of businesses from all over the world which have successfully set up there. Certainly, as with any business venture, cash flow and financial management will figure strongly in the mix. Don’t worry because all the major banking institutions are there, too, HSBC, Barclays, Citibank, BNP Paribas, Standard Chartered Bank, Abu Dhabi Commercial Bank, Commercial Bank of Dubai – the list goes on – with all of them ready and willing to discuss how they might help you realise your plans. Go online now and check out the business banking accounts from HSBC for starters, and then simply work your way down the list. After assuring yourself all off your banking needs are likely to be catered for, no matter what your expansion plans might be, seeking expert advice would certainly be a good next step. There are many experts available online, many with specific experience of the UAE itself. The list of reasons for expanding a business into a free zone within the UAE is compelling, to say the least. No personal tax or corporate tax are two benefits that immediately jump out. Yes, you don’t pay either for 50 years, unless you happen to be an oil company or a bank, that is. Other benefits include competitive import duties, energy and building rental costs, no foreign exchange controls and no trade barriers or quotas. However, to set up a business in the local market requires a local partner who must also be a UAE national. And you, as a foreigner, will only ever be able to own up to 49% of any limited liability company established in the UAE. 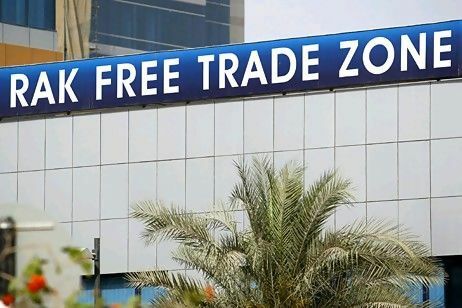 If you want to sell directly from a free zone company, you can only do so to UAE companies which have the appropriate import licence. Sounds complicated at first but really it’s not. Whatever business sector you’re in, the costs of setting up in a free zone will vary from emirate to emirate and from free zone to free zone. Dubai, for example, has a number of specialist free zones which are serviced by a transport, telecommunications, energy and industrial infrastructure that is the envy of most modern countries. It has a network of seven industrial areas, a business park, two high class seaports and a major international airport and cargo village. Add to that a superb highway network, state-of-the-art telecommunications, and reliable power and utilities, too, and you have one of the best areas in the world in which to conduct business. Binding everything together is an unparalleled service sector which includes shipping, banking and finance, legal firms, hotels, schools, shopping centres, hospitals, and much more. Contact Nadia Rinawi for expert advice about setting up a business in the UAE.